The best quiet generator models provide an advantage over conventional generators for their convenience and lower sound output. Generators are well-known for being reliable power alternatives where you need it most, but they are notorious for being loud. However, thanks to the advanced technology generator manufacturers have come to utilize, users can enjoy the functionality and choices when it comes to quiet inverter generators. What you should look for on your quest to find the best quiet generator? The sound of an engine running is typically a good indication that it’s working, right? So why is it worth investing in one that is quieter? Though quieter models are generally more expensive, there are a few good reasons to opt for one with the most obvious being that it isn’t as noisy and obnoxious as others. There is actually more to generators’ noise levels than just simply being bothersome. In some communities and campgrounds, the use of loud noise-producing power equipment is prohibited. 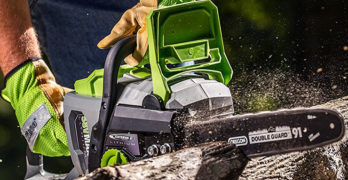 In fact, there are restrictions on decibel ratings for certain areas meaning that power tools and machines must not exceed a specified noise level that is set in place. People that move into quiet neighborhoods, for instance, don’t expect to hear the loud intonation of a generator from next door. A power outage is an inconvenience for anyone that has had the misfortune of experiencing one; not to add to the aggravation of a loud motor running all night that robs you of your sleep. Loud noises can cause permanent damage to your hearing, which is why some communities have strict policies on noise pollution. A portable generator can produce a great amount of noise that is not only annoying to humans, but can be dangerous for pets in the home as well. Animals like cats and dogs are far more sensitive to loud sounds than humans are. A very loud portable generator that is running for hours on end over the course of a few days can result in serious damage to their ears. Another safety concern that may be considered is not revealing your location. The last thing an outdoorsman wants is to scare off animals they may be seeking due to the sound of a noisy generator. How is Generator Noise Rated? Audible sounds are measured in units called decibels (there’s that word again). Manufacturers of power equipment and generators typically list the decibel rating of the machine (indicated as db or dBA) on their specifications to provide consumers an idea of how loud or quiet it is. This rating is usually determined by using a decibel meter from a distance of approximately 23 feet away from the unit . It can be difficult to determine how loud something is simply by looking at a number, so to put those numbers into perspective below is comparison of common things with their decibel ratings. The db rating that breaks the hearing threshold is 0. The maximum noise level that is considered safe for your ears is 85 decibels. Anything above that rating will potentially cause damage to your eardrum without adequate hearing protection. The decibel rating for generators will vary depending on the model, size of the engine, and the type of generator it is. Portable generators generally range between 50db to 80db. Of course, there are other factors that will affect the noise level produced from a generator that is running such as the specific area. For instance, in a quiet suburban neighborhood the daytime noise is rated at 55 decibels. The best quiet generator for this type of area that would be considered reasonable is one rated no greater than 55db. I love the fact tha this model has wheels. After all, these are meant to be moved around so I don’t know why more companies don’t have built-in wheels. Learn more on Amazon. The engine speed. The faster the engine speed is of the unit, the louder the noise will be produced. With conventional generators, the engine has to run at maximum capacity to produce electricity due to the design of the engine and alternator. Inverter generators are designed so that the engine speed is consistent with the load placed on it. What that means is if only one or two things are plugged in that operate at a lower wattage, the engine will run much slower than conventional generators and thus, quieter. The second factor is a noise-muffling system. Most of your whole house generators are designed with a sound-muffling housing frame that reduces the sound output. Inverter portable generators, however, are housed in a compact design that dampens the noise it generates for lower sound output; unlike traditional generators that have an open design. The quieter inverter generators are preferred in many ways. Some people use them for their personal use at home in neighborhoods where noise pollution is controlled, while others use them in their businesses or on job sites. The advantages that inverter generators provide over traditional serve many purposes. One obvious advantage with inverters as opposed to their traditional counterparts is size. Most inverters are designed compactly and feature a handle that you can just lift it up by and carry it. This optimal portability in addition to being the best quiet generators provides incredibly versatile options. 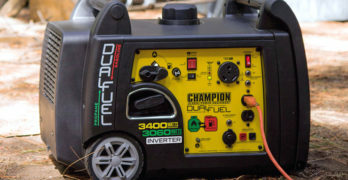 Many people carry the smaller inverter generators with them when they are out in the woods or when they go fishing. These generators allow campers to run necessities while keeping the peace and quiet of the great outdoors. Some campsites actually have policies on the use of generators and other types of power devices in terms of decibel ratings permitted as a reasonable means to maintain the quiet peacefulness of nature. A sports lover’s favorite pastime, tailgating brings fans together in support of their favorite teams. Often times, they rely on a portable generator for these events so they don’t have to rely on their vehicle’s battery as a power source. A quiet inverter generator is much smaller and more practical for carrying around. After all, you should be screaming over your team and not over the loud noise of an annoying generator. Workers in the construction industry will also use the quieter inverter generators to deploy their services without any difficulty in some areas. 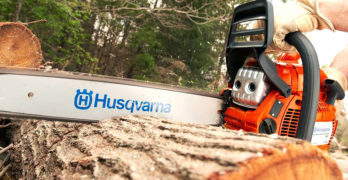 They can start their work early in the morning in a quiet surrounding without causing discomfort by adding more noise to the sounds that are likely being emitted by additional power tools. The smaller design with equal power capacity that inverter generators offer make them suitable for use anywhere. In neighborhoods where your neighbors are in close proximity, seeking out the best quiet generator would be a considerate option. Many neighborhoods that are managed under a Homeowner’s Association have ordinances on noise levels for power devices. Likewise, you would probably prefer the much quieter alternative to traditional gensets for your own benefit. Who wants to be sleeping with a loud generator engine running right outside their house, right? When in search of a generator that will work at a low decibel rating, you will need to be mindful of a few important factors. So what should you consider? Noise Level : The generator should be quiet enough to let you run your activities with ease while meeting standards that are mandated on noise emissions. As you consider the noise output, also look out for the distance measurement. It should be quiet enough when you are close to it. Choosing a unit that is rated around 47 to 55 decibels would be ideal. Power Output : The best quiet generator unit might be less noisy to your comfort, but it might not be able to release enough power for you to run your necessary devices. If you need it for lightweight use, 1000 Watts is reliable. For medium and heavyweight use, go for any unit with 2000 watts or more. Also be sure to figure the amount of wattage your devices operate on because some will have a higher starting wattage than running wattage. Fuel Efficiency : due to their design and adjusted engine speed, inverter generators are more than just small and quiet; they’re also great on fuel efficiency. This enables you longer lasting use. Here are some of the best quiet generators for your money. A nice looking generator that is both quiet and affordable. 111cc OHV Briggs & Stratton 4-Cycle Engine. Computer-Controlled Inverter Technology w/ LED. Clean Energy: Safely power laptops, tablets, TV’s and other sensitive electronics. PowerSmart Mode – Saves Fuel & Reduces Noise : Automatically adjusts engine speed based on electrical load. 1-Gallon Fuel Tank w/ Choke Lever for Cold Starts : Up to 8 hours of power @ 25% Load. Parallel Operation Port : Increase overall power by connecting another P2200 or P3000 in parallel. Circuit Breaker Protection prevents damage to your generator. Twin-Hand Design & Super Lo-Tone Muffler : Up to 38% lighter & 45% quieter than a conventional camping generator. 12-Volt DC Output (5-Amp) – Great For Charging 12V Batteries. Enough power to run multiple appliances at once. Up to 6.5 hours of run-time at 25% Load. control and low oil shutdown. The 30651 model is among a series of PowerSmart inverter generators offered by Briggs & Stratton. It’s a compact, lightweight model that was designed specifically for campers and tailgaters in mind. The consistent power output of this model delivers whisper quiet operation while also providing a safer power source for plugging up sensitive electrical devices. The control panel is equipped with various outlets to allow users to plug in multiple types of devices and appliances. These include one DC and two 120-Volt outlets and a USB adapter. This model operates at a volume of 59db. That’s quieter than the average conversation between two or more people for low-key performance. The model provides up to 2,200 starting watts and 1,700 running watts of power to adequately power up what you need with a maximum continuous run time of 8 hours when operating at ¼ load. Briggs & Stratton generators are well-made and reliable. Visit Briggs & Stratton site to learn more about their generators. Ultra-quiet. Deservedly, one of the most popular generators ever made. Great for: Light-duty construction projects, camping, boating (shore power), street vendors, operating lights, stand-by power source. Can power: Microwave, refrigerator, hair dryer, small AC units, and much more. Whisper-quiet operation — 59 dB(A) at rated load, 53 dB(A) at 25% load. Easy to carry – less than 21 kg (46 lbs). Safely power your most sensitive electronics. Double your power, connect it with a EU2000i Companion model for up to 4000 watts of power. 3.4 to 8.1 hours on a single tank, depending on the load. This 2,000-watt generator is another reasonable choice for the best quiet generator for home users with highly rated reviews for its ease of use. The inverter power provides clean electricity for safely powering up and charging things such as laptops, cell phones, and more. The inverter technology it is equipped with is still more than capable for delivering exceptional power without overloading the devices that are plugged in. An added unique feature with this model is its parallel capability for use with an identical unit. By connecting two units together paralleled with a cord you can easily double your power capability up to 4,000 watts! This generator is also rated at 59db for the rated load capacity and just 53db when operating at 25% load. The model is equipped with what Honda likes to call Eco-Throttle to minimize the noise level it puts out. The run time on this unit at half ¼ load is just over 8 hours to give you long lasting reliability. 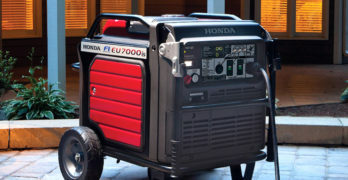 ✓ View or download Honda’s Safety Guidelines for Generators. Excellent value. Safe for computers and other sensitive electronics. Inverter technology creates whisper quiet & clean power that won’t damage electronics. Parallel Ready: Optional Parallel Kit (Generac 6877- Parallel Kit) nearly doubles output levels to provide power to larger loads. ✓ View or download the SPEC SHEET or the Generac Generator Buying Guide. It’s one of the most widely known brands among generators and Generac doesn’t stop at just ordinary standard generators. The advanced technology, research, and development has produced this machine with ultra-clean power that is safer, cleaner, and most importantly, quieter! The selectable 3-speed operation of this unit offers flexibility for an increase in power while reducing noise output and lower fuel consumption. It also features automatic voltage regulation, a fuel gauge and over 5 hours of run time on a full tank. Thanks to the inverter engine and alternator, the iQ2000 is claimed to have a quieter performance when operating at half load compared to Honda! The inverter generator is also CARB compliant. If you need 3000 watts of power in a quiet generator then this is for you. Excellent for RV camping due to it’s extra power. Briggs & Stratton put a lot of effort into the design of this model, and to be honest, all of their generators. I think their generators are underrated. The P3000 is a 3000 watt generator, so it has more power than the other models in this article. It’s a fantastic quiet generator (58 Db at 23 feet) that is highly portable, especially because it has built-in 6″ wheels. Because it has more powerful it’s too heavy to be carrying around like the other models. It weighs 84 pounds so using the wheels to transport it will be essential. You really have to determine what your needs are. For many people this will be the perfect generator, for others it might be too bulky. Only you can make that decision. Quieter than a traditional camping generator with enough power to start a standard RV air conditioner. 1.5-gallon fuel tank for an impressive 10-hours of continuous operation at 25-percent load on a full tank. (4) household outlets (1) 12-volt 30-amp locking outlet with RV adaptor DC charging outlet and a USB port. If you want clean portable energy then this is a great choice. As you can see by the list below, there are a lot of features packed into this generator. It’s easily one of the best quiet generators money can buy. Sure, it’s a little more expensive but if you truly want the best then this should be at the top of your list. It may be small weighing at just 44 pounds, but this little inverter generator delivers efficient power where you need it most. The EF2000iS by Yamaha is equipped with similar Smart Throttle technology that controls the engine speed to adjust accordingly to the load size that is put on it to improve fuel economy at a lower noise level. The maximum run time the unit can operate before needing to be refueled is 12 hours! Additionally, a super quiet muffler also contributes to noise-reducing quality of the generator with a 51db rating at ¼ load. It also has vibration-isolating feet which further help to muffle the sound emitted from the unit. Unique cube shape makes it stackable. Great for running in parallel. 1700 Running Watts / 2000 Starting Watts. It’s called a champion for a reason and this model is definitely a champ in our book for efficiency, convenience, and price! It is designed with sine wave technology to protect your devices while plugged in. It has an overload protection and features an economy mode to increase fuel efficiency. The unit can run for over 9 hours continuously at 25% load. 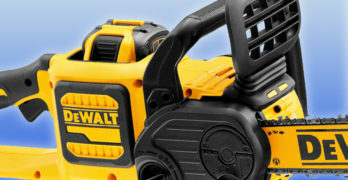 The outlets equipped on the model include 120-Volt plus a 12-Volt DC outlet. The 3.5 hp inverter engine operates at a volume rated 53db for peacefully quiet operation when measured at 23 feet. Another unique feature is the stackable design. It’s also CARB compliant in 50 states for those that live in restricted areas for power tools. Owning the best quiet generator will assure you of safety against hearing loss, the capability to use it wherever you wish, and it also consumes less power. Use the 73500i Parallel Power Kit to get more power.